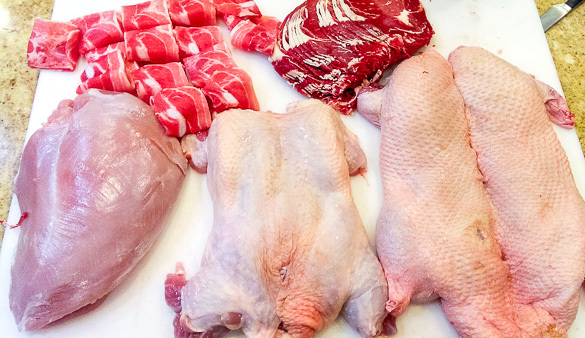 Cooking one animal stuffed into another has supposedly been around for over a thousand years. Story goes that the desert-dwelling Arabic Bedouin cooked eggs and then stuffed the eggs into fish. The fish was cooked and then stuffed into chickens and the cooked chickens were stuffed into roasted sheep and then into a whole camel. 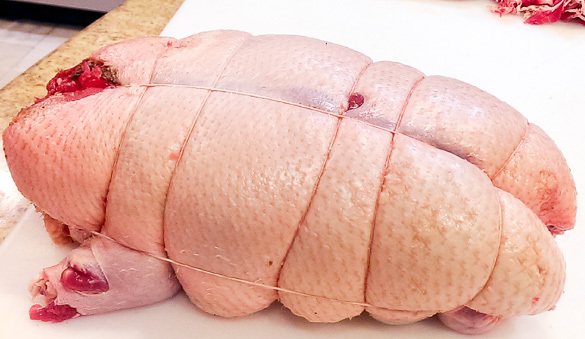 In England, the three-bird roast or royal roast was comprised of duck stuffed with chicken which was stuffed with pigeon, with sage and apple stuffing. 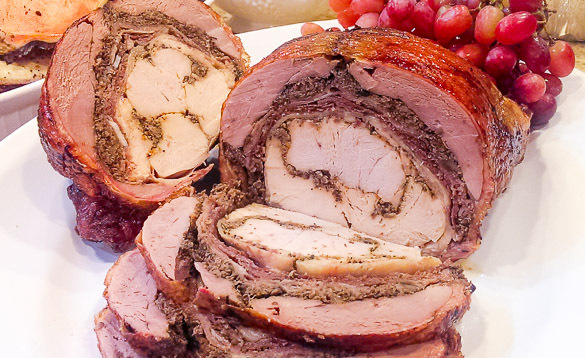 In the US, the Turducken, which was chicken meat in a duck carcass within a turkey, became popular after American football announcer John Madden featured it for Thanksgiving football games. 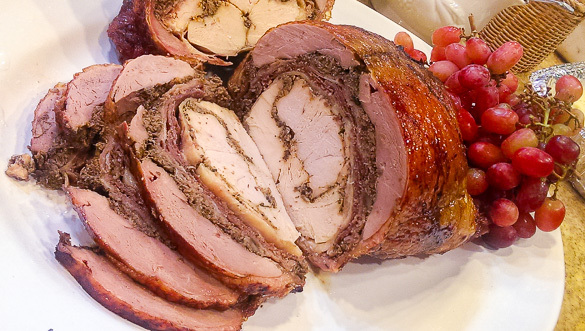 The term turducken comes from the combination of tur(key), duck, and (chick)en. 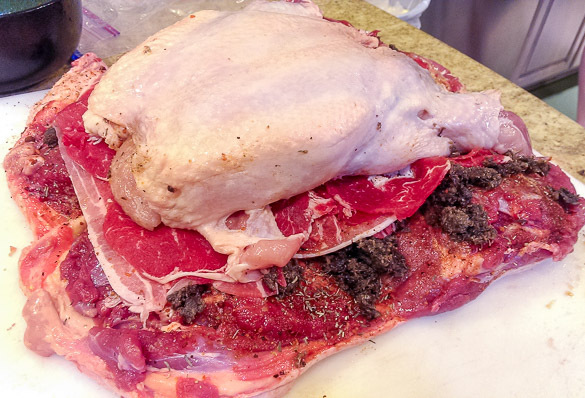 I've taken the US turducken and added beef and pork to it to make it a 5-meat Moo Oink Duck Tucken so each slice contains a bit of chicken, turkey, duck, rib eye, and pork belly. 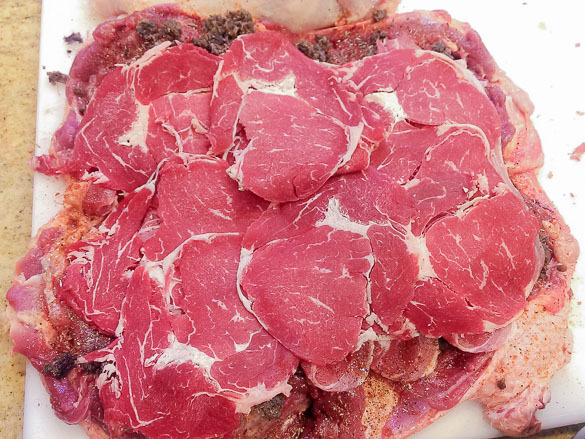 I used frozen rib eye and pork belly slices found in the hotpot or shabu-shabu section of the frozen meat section in an Asian market. 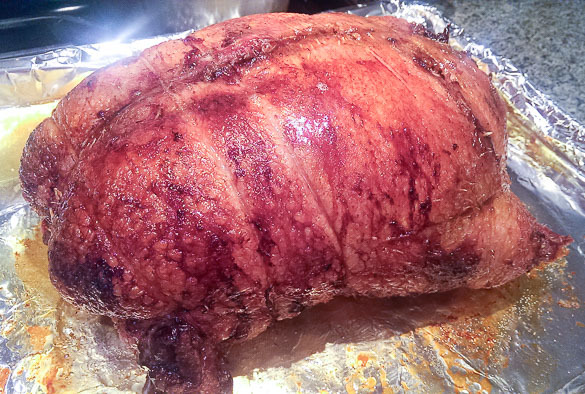 I used a big piece of Butterball turkey breast meat. 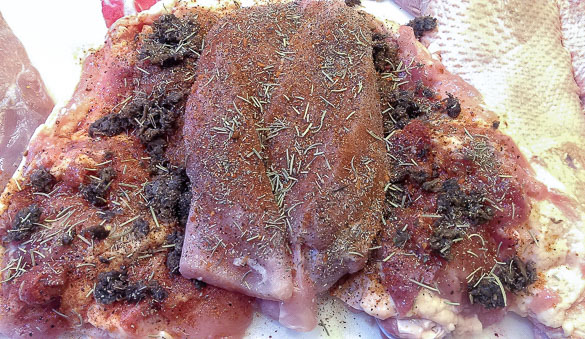 For the deboned chicken and duck, I looked up a couple of YouTube videos to figure how to do it. It's not that difficult and just takes a bit of time. I borrowed an idea from a Beef Wellington recipe and prepared an intensely flavored sautéed mushroom and shallot mixture called a duxelle. 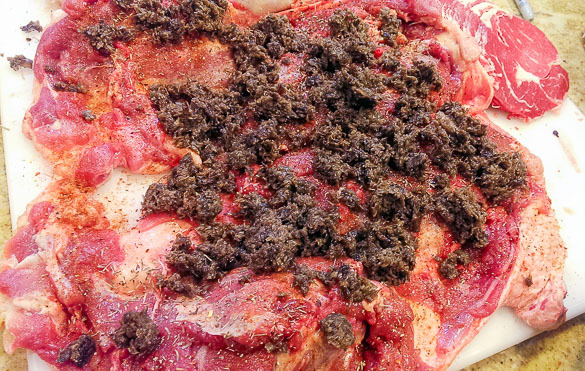 The duxelle is stuffed into the insides to give it a savory umami taste. 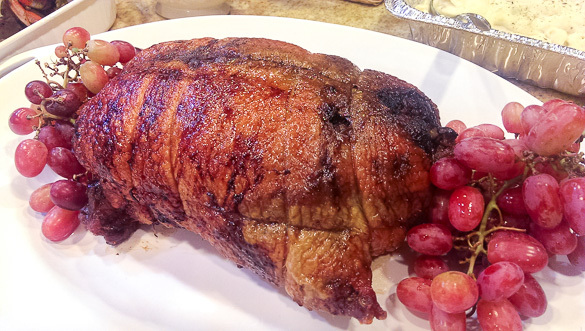 Try my variation of a Turducken for a great centerpiece dish for your Thanksgiving meal. 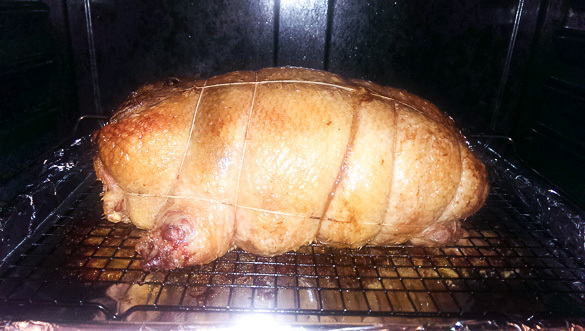 Lay down the deboned duck skin side down and spread some of the duxelle. 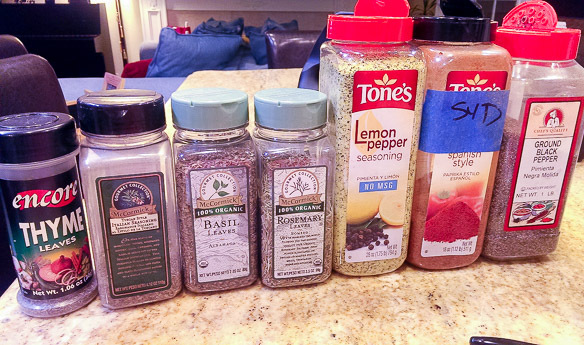 Then apply an even coat of SYD All Purpose Rub and dried herbs of your choice. 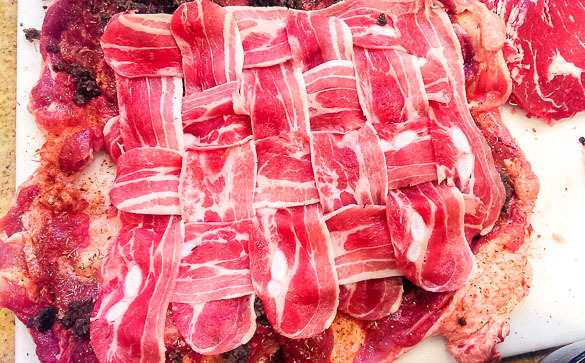 Arrange a weave of the pork belly slices. 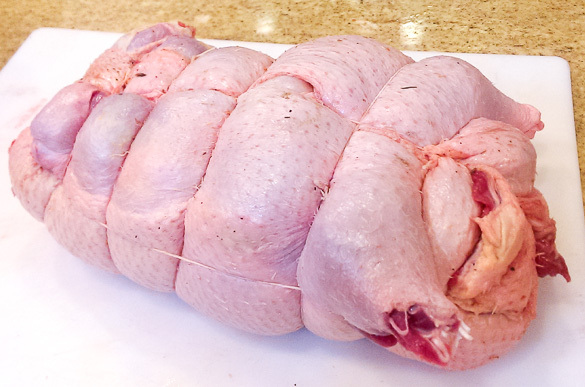 Carefully fold the duck around the four meats and tie up with butcher twine. Flip over to truss the duck as needed. Brush with melted butter and cook in 325F pit or oven until the inside temp is 165F, about 2 hours. Looks great Harry… I’m going to try this next week. 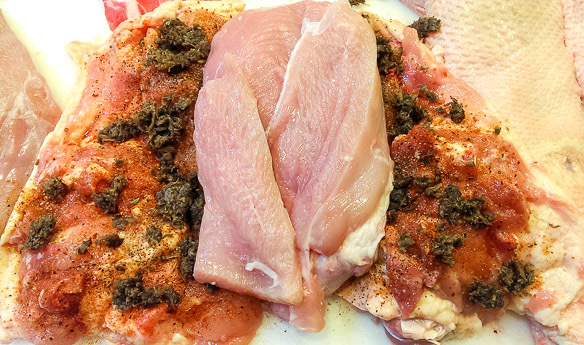 The only thing that I’ll do differently is to remove the skin from the de-boned chicken. Happy Thanksgiving!